Sometimes going the aftermarket route is okay as long as the part doesn’t affect your car’s safety and performance. For example, aftermarket wheels are a nice cosmetic upgrade that doesn't affect your vehicle's longevity or compromise its safety. What about oil filters, though? Are aftermarket oil filters safe to use? The answer is: not really. It’s easy to dismiss an oil filter as an insignificant part because it’s disposable. But oil filters actually have a big impact on your engine’s lifespan. When oil goes through your engine, it picks up some dirt and tiny debris from the engine (caused by metal-to-metal contact). The oil filter traps most or all of the dirt and debris and then sends the clean oil back to the engine. Dirty oil is actually quite bad for your engine. When there’s too much debris in the oil, the oil mucks up and fails to properly lubricate the engine. This greatly accelerates engine wear. In extreme cases, the engine will overheat and seize, leaving you stranded on the side of the road. The oil filter is such an important part that failing to change it regularly will cause a lot of engine damage. So when it comes to oil filters, quality is everything. Since OEM oil filters are high quality in many different ways, OEM is always the safer and more reliable option. Aftermarket parts, including oil filters, are notorious for being built with inferior materials. Aftermarket filters use less filter material than OEM filters, so the filter fills up with debris sooner. Aftermarket filters use more porous filter material. This allows smaller contaminates to pass through the filter and return to the engine. Since your oil filter needs to be replaced pretty frequently, it’s a good idea to avoid paying full price for a replacement every time. Ford dealerships put a markup on oil filters, so you’d be better off just ordering OEM oil filters online. 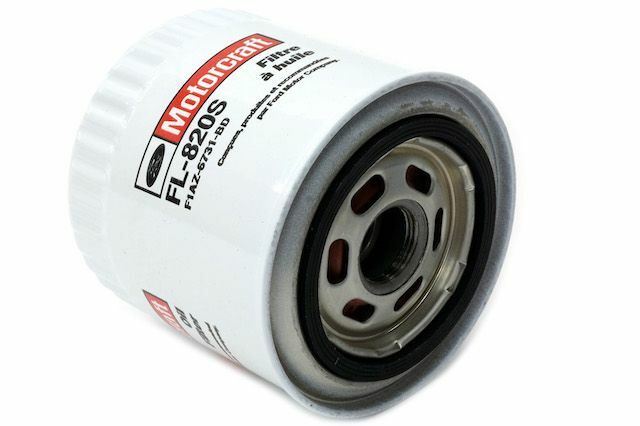 At FordPartsOnSale.com, we carry genuine OEM oil filters for many different Ford models at deeply discounted prices. Look up your Ford model in our catalog to see if we have an oil filter for your car. Please contact us if you need assistance finding the right part number.